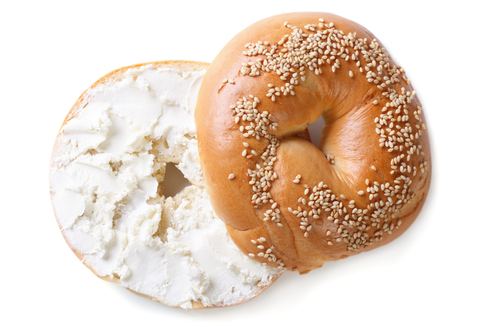 Cream cheese is known for adding inches to your waist line. Whether you want to start a healthy diet or just improve your heart health, you may need to find cream cheese substitutes. Over time, eating cream cheese regularly can end up clogging your arteries and leading to unnecessary weight gain. Unfortunately, many people do not realize how unhealthy cream cheese can be. They end up adding it to toast and bagels without giving it a second thought. If you want to protect your heart and stay slim, you will need a cream cheese substitute. The following cream cheese substitutes can be easily found at the grocery store and have a similar taste to traditional cream cheese. There are numerous substitutes for cream cheese, and many people are completely unaware of them. Try testing out several of the substitutes on this list to find your favorite. Once you have picked the one that works best for you, stick to using it so that you can enjoy better health and longevity. Kefir and chia seeds have both hit recent lists for superfoods and health crazes. Unlike some fads, these ones should continue to remain popular because they are amazing for your body. Kefir is amazing for your gastrointestinal health. When combined with chia seeds, it can help prevent digestion issues, allergies, candidiasis and atherosclerosis. Chia seeds are also known for being high in omega-3 fatty acids, which makes this blend even better for your health. To make a simple cream cheese substitute, buy kefir and chia seeds at your store. Get out a bowl and fill it with kefir. Then, add ¼ cup of chia seeds to the bowl and blend it the two ingredients together. Allow the mixture to sit for about half an hour because this will ensure that the chia seeds can absorb the extra water in the kefir. Avoid stirring the mixture for at least half an hour before you use it so that the chia seeds can absorb all of the extra water. Gervais cheese is delicious and can easily be used as a substitute for cream cheese. It is made up of about 75 percent milk fat and has a sweet, tangy taste. Gervais cheese can be used a it is to replace cream cheese, and it is a bit healthier than using cream cheese on your food. Gervais cheese is delicious on top of crackers or toast. You can also use another French cheese for a more flavorful alternative to cream cheese. Yogurt is amazing for your digestive system because it contains probiotic bacteria. Your digestive system actually needs good bacteria to function properly. Other than its digestive benefits, Greek yogurt is also lower in calories, fat and cholesterol than cream cheese. To make it even more like cream cheese, use a clean cheesecloth to drain your yogurt. Place the cheesecloth over a large bowl and put the yogurt on top of it. Afterward, let it sit in the fridge all night and you will have a thicker, less watery yogurt to work with. If you want to try out different flavors, try adding carrots, shallots or chopped green onions to the mixture. This soft French cheese is made across the world to have a sharper, pungent taste. When it is younger, it has a lighter, less pungent flavor. It is made out of cow’s milk and has a taste that is similar to the low-fat cream cheese that you can buy at the store. When using this in a recipe, you can substitute it directly for any cream cheese that is needed. To replace cream cheese in a recipe, mix ¼ cup margarine, a tablespoon of lemon juice and ¾ cup of tofu together. You will want to use one of the softer, jello-like varieties of tofu for the recipe. Use a blender to make sure that all of the tofu bits are completely blended in the paste. Afterward, you can leave the mixture in your fridge to use in recipes instead of cream cheese. Cottage cheese is an excellent substitute for cream cheese. You can use the exact same portions of cottage cheese as cream cheese. To get the right texture, blend the cottage cheese in a mixer first before chilling it in the freezer. The resulting mixture will have almost no saturate fat, but it will contain numerous vitamins like sodium, calcium, copper, potassium and folate. If you are in a rush, use a 1 ounce pack of petit suisse with some honey to replace a cup of cream cheese in your recipe. Petit suisse is made from cow’s milk and unsalted for a smooth, creamy taste. Remember that petit suisse is high in fat with a 40 percent fat content, so make sure to use it sparingly. Ricotta can be used just like cream cheese in your recipes. To make it have the right texture, drain the ricotta before tossing it in the blender until it is completely smooth. Hummus cannot be used to replace cream cheese in recipes that well, but it works great for bagels, English muffins and toast. Hummus is loaded with protein and a little healthy fat. It is known for helping to prevent cancer, heart disease and stroke risks.